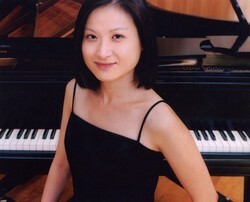 NACOGDOCHES, Texas - Guest pianist May Phang will perform a recital at 7:30 p.m. Tuesday, Feb. 27, in Cole Concert Hall on the Stephen F. Austin State University campus. Her performance is part of the SFA School of Music's Calliope Concert Series. She is currently on the piano faculty at DePauw University in Greencastle, Indiana. Dr. Andrew Parr, professor of piano at SFA, met Phang when he was attending the Interharmony Chamber Music Festival in Arcidosso, Italy, in 2016. "I heard her play and worked with some of her students," Parr said. "She is an excellent pianist, and I am pleased that she could come to SFA." Phang performs regularly as an international soloist and chamber musician in venues such as the Goethe Institute in Bangkok, Tianjin Conservatory Concert Hall in China, Victoria Concert Hall in Singapore, Place-des-Arts in Montreal, the Concertgebouw in Amsterdam, Philadelphia Museum of Art, the John F. Kennedy Center for the Performing Arts in Washington D.C., Chicago Cultural Center and the Detroit Institute of Art. She has also performed at the Singapore Festival of Arts, Montreal International Piano Festival, Karol Szymanowski Festival, Poland, and Festival de música de cámara de Aguascalientes, Mexico. A prizewinner of several competitions, Phang has performed with the Banff Chamber Players, Singapore Symphony, Montreal Symphony and the Philadelphia Orchestra, and she has also been featured on radio and television in Canada, Singapore and the United States. She frequently presents master classes and adjudicates competitions nationally and internationally.